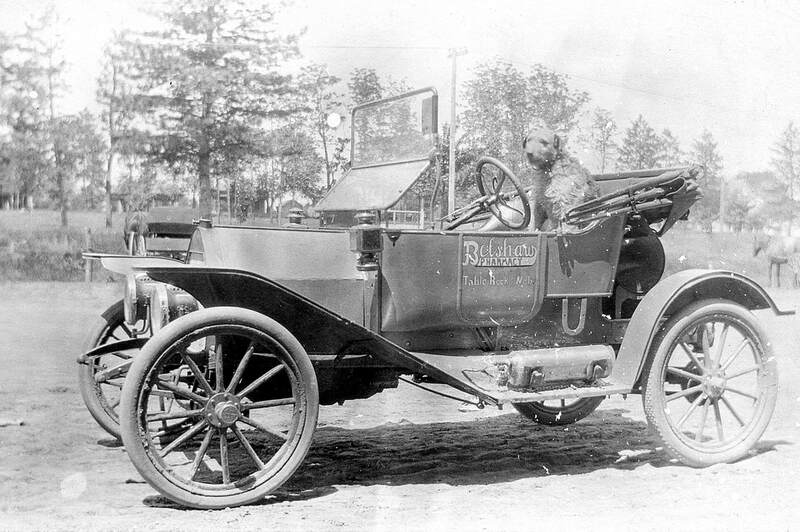 Photo 3452, George Cotton's dog, taken south side of the Square, shared by Betty Ann Wilkins, a Norris descendant. 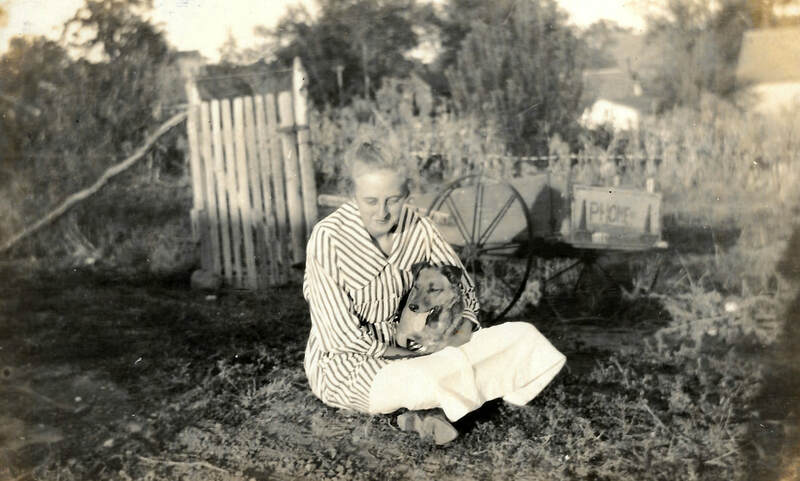 Photo 872, Cecil Heer Bowen with her dog Buster. From the photo collection of Arvid Blecha. In 1931, Leo Herink and his sister Mildred Herink Buethe with their little dog, in a snowstorm! Photo 4667, shared by Mildred. 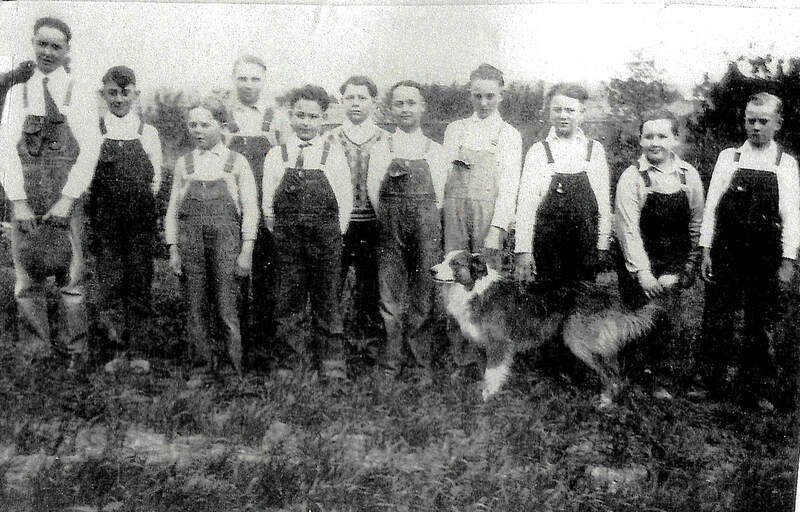 Jr. Muscheites with his dog Towser and another. 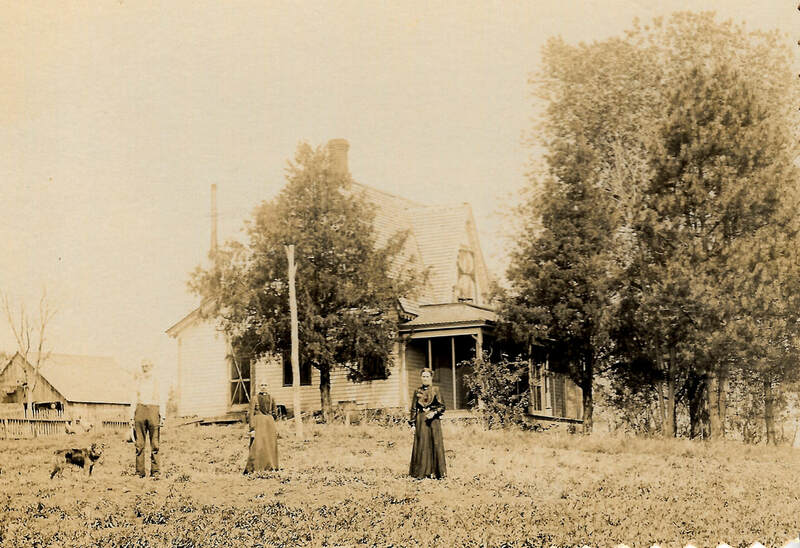 Photo 1867, shared by Terry Korrel, his niece. Towser dog of young Jr. Muscheites, with friends. The boys are not well identified. There is a list but there are fewer names than boys, leaving the question about which name goes with which boy. The names as given: Marvin Horton, Charles Norris, Delmar Covault, Dwight “Tweeter” Bonham, Howard Bedea, Leonard Mertes, Junior Muscheites, Marion Bonham, Harold Kubick, and Lavon Heuke. Leonard Mertes is definitely the one 7th from left but his name is only the 6th on the list, so the error is probably in the boys to the left of Leonard. Photo 1866, Towser with friends, from Terry Korrel, a Purcell descendant. Somebody's dog, taken by Archer King. Wish we knew the name of this little personality! Photo 1701, from an album of photos by Archer King circa 1908-1910. Sitzman family dog Princie, a chihuahua of some sort, taken in the 1960s. August 8, 1957. Vlasta was upset by this but only because Irish was a girl! 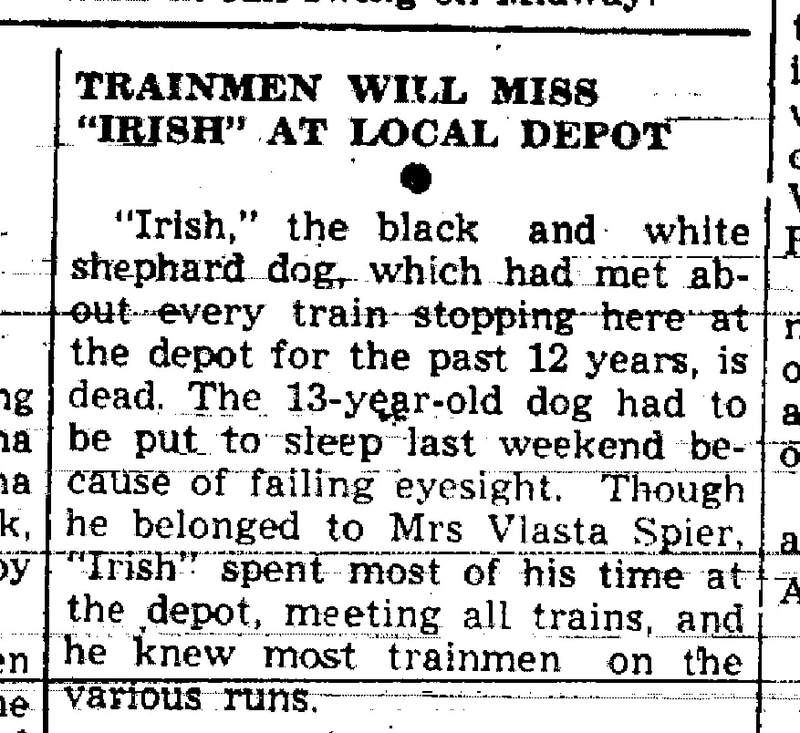 There are many stories about Irish. Family dog Bob with Grandma & Grandpa Purcell with daughter Della McCoy. Photo 1816, shared by Terry Korrel, a Purcell descendant. Haying on the Stepanek farm with the dog along. Photo 227. 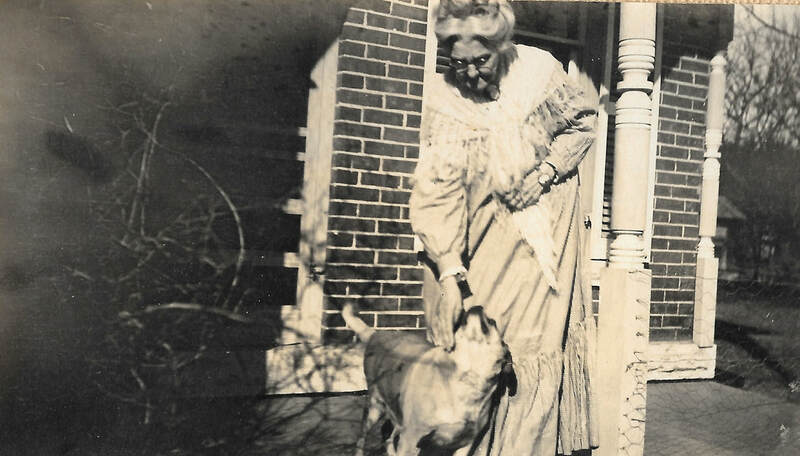 Anna Groves Fellers with her dog. 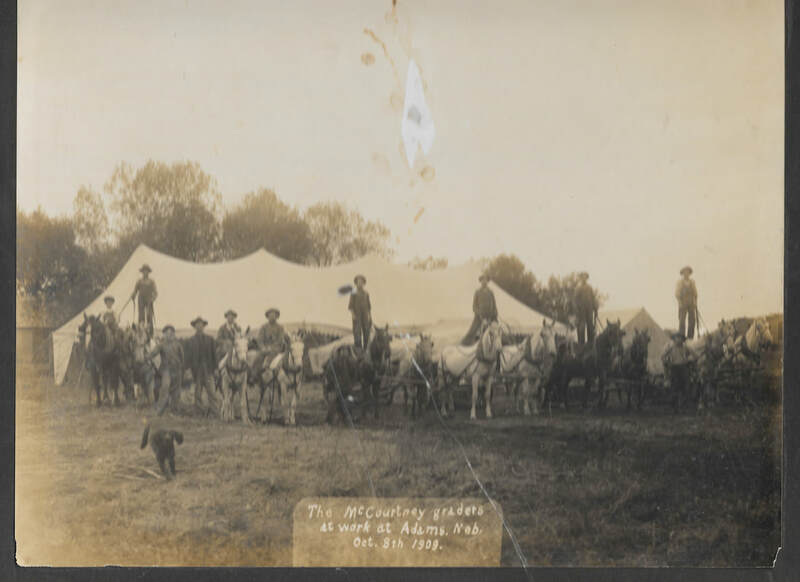 Photo 306, from the Ellen Fellers photo collection. 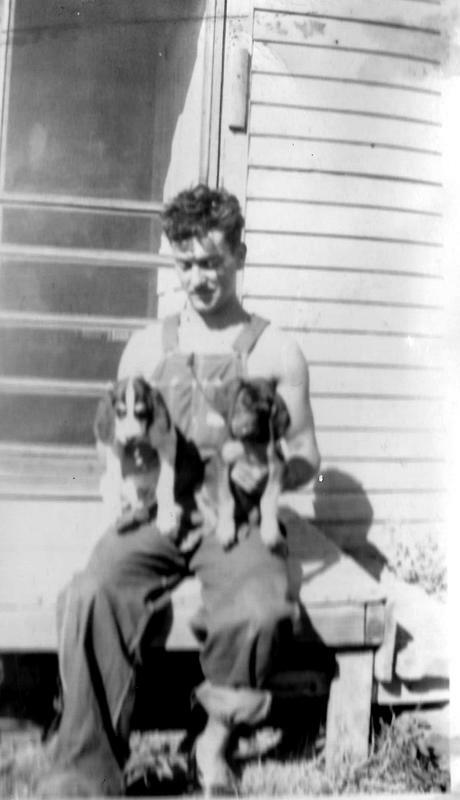 Alvah Aylor, Sr., and two of his greyhounds. Excerpt of Photo 194. Photo 7322 -- Stanley Bowen and father-in-law John Heer taking the dog for a walk! Hanna man with his dogs. Photo 3902, shared by Amy Hanna. Photo 194. John Cockerill, Lewis Day, Alvah Aylor, Sr., with his dogs, George Griffing, J. B. Carter, and, behind the stove, Nick Goodenkauf. Taken on the southside of the Square, 2nd building from the west. In 2018 it is occupied by Harry Griebling Photography and before that it was occupied by Table Rock Electric for many years. The bar back is now in the Round Up Bar & Grill, which is the 3rd & 4th buildings from the west. Photo 60, the McCourtney Graders of Table Rock at work at Adams. That is Lula McCourtey's cook tent. She was glad to have it, I'm sure, as she previously cooked out of a traveling wagon like gypsies use, according to Charlie & Lula's granddaughter Dolores McCourtney Penkava. And according to Delores, that dog in the left foreground was lucky to be alive, as Charlie McCourtney hated dogs. 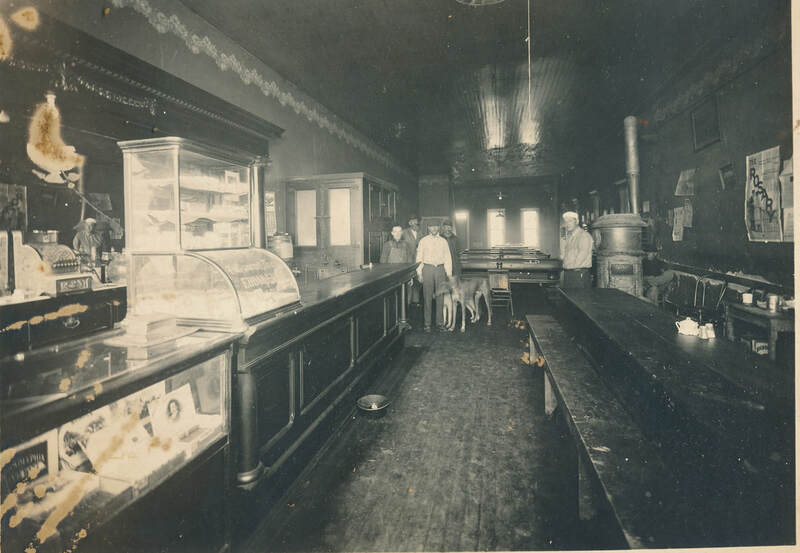 Norris store delivery, Boyd Phillips, Jerry the dog, Edgar J. Norris. Shared by Betty Ann Wilkins, a Norris descendant. Sandy, Sherry, and Sharla Sitzman with dog Peaches, in front of the family Sinclair Station in Lower Town. 1955, 18-month-old Sharla Sitzman with her dog. Gypsy at the Sitzman Sawmill with visiting French exchange student Greg Betoux, Sitzman grandchild Carmen Cerra, Nick Sitzman, Bob Sitzman, and little Stevie Sitzman. Circa 1988. 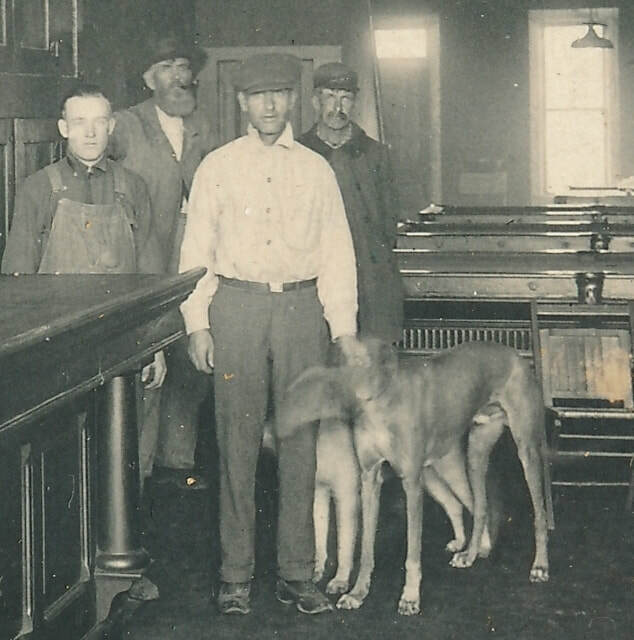 50 or 100 years later or more, we still love our dogs! Methodist pastor Dorothy Smith and her dog visiting Delores Penkava on July 22, 2017. 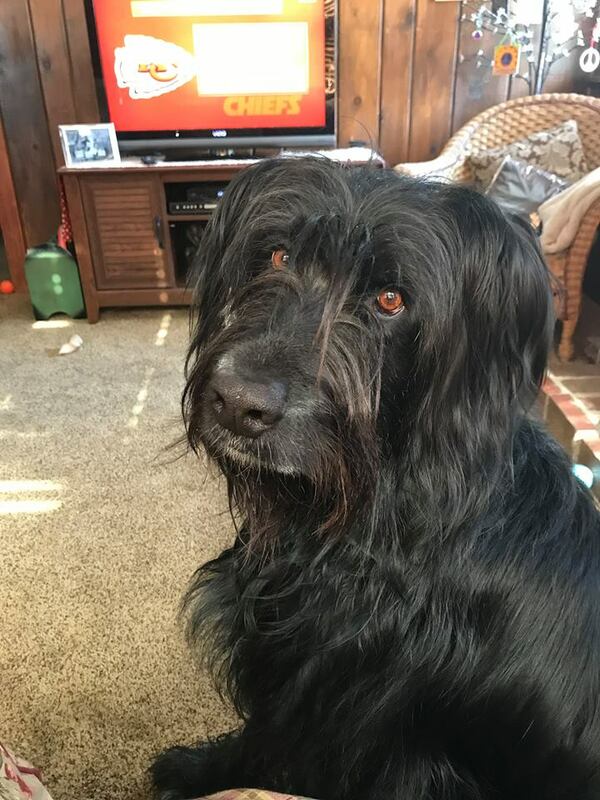 Mr. Tugboat, Marcia Lang Schlegelmilch's dog. Photo 6710. 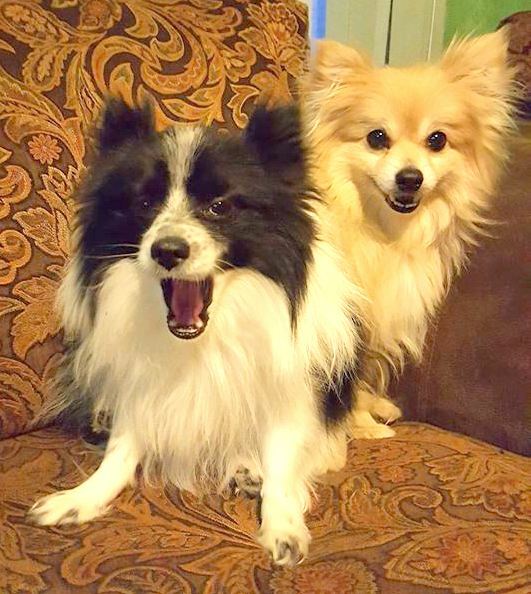 Fluffy & Teddy, Susan Puhalla dogs. Photo 6712. Harold, with such cute ears, Jen Haubrich's dog. Photo 6711. Linda Kalina Williamson with dogs, _______ and Holly. November 2018. Sharla Sitzman Cerra in February 2015 with her dogs Betsy, Paw Paw (in the stroller), Sophie, foster dog Belle, and Sadie. Sharla's dog Paw Paw, winter of 2016.